OK, so now that you’ve read about the importance of stepping back from your story, and accepted that you need space and time to properly view your work and critique it, it’s important to talk about how to edit. reveal something about a character. If your sentence doesn’t do one of these two things, it's got to go. Save it for a novel, or maybe it will find its way into another story of yours. One of the most basic and powerful rules I can offer is for you to be critical of every line you’ve written. To pare down your story, here are a few things to consider. 1. Snip clarifying details. In the twenty minutes or less that it takes for a reader to move through your short story, they remember quite clearly that Jenny is Jimmy’s girlfriend. Each time you mention her name, you don’t need to remind us that Jenny is Jimmy’s girlfriend. You said it once and that was enough. 2. Learn to recognize repetition. Analyze the message of each sentence. What is it conveying? If two sentences in a row are using different words to convey the same information, this is repetitive and one needs to be cut. Hint: keep the simpler one. When your language gets too flowery or stressed, it becomes inauthentic, and anyway you’re probably veering off the road of your narrative tone. 3. Show, don’t tell. The old rule applies! Don’t tell us that the character is sneering, giving a look, contemplating, guffawing, bellowing, yelling, or scrutinizing. These are empty words and lazy narrative. Instead, talk about the lines on a character’s face; describe the way their eyebrows twitch; how the mouth hangs, the shoulders draw up, the eyes narrow, or the way all their features move toward the center of your character's face as if by some unimaginable force. 4. Keep it simple. Pick one descriptive element for characterization, not four. When describing a character as nervous, why say "she was tapping her foot, her eyes were constantly darting around the room, she kept pulling at the hem of her dress, and every so often her body stiffened as she sucked back a deep, quick breath" when just the last example will do? Of course, you can sprinkle these descriptive elements if your character is repeatedly nervous. Just don't lump them all together. 5. Don’t make your dialog tags do the work. Replace anything more complicated than “he/she said/says," or "he/she asks/asked." See Tip #3. If you’re serious about getting published, it’s a good idea to work with someone who knows exactly what it takes. Whether you’re looking for help with the shape and focus of your story or you’re looking to smooth out the language, hiring an editor is one of the best decisions you can make. Why? Working with a professional editor it’s essentially a one-on-one writing workshop. But instead of wasting 80% of your time talking about other people’s writing, you’re spending 100% of your time learning how to become a stronger writer—through your own writing. And if you’re looking to have your story published in a literary magazine, hiring an editor prior to submitting greatly increases the chances your story is selected. This is because an editor at a literary magazine has a different role than an independent editor. While editors at literary magazines do light editing—showing you where and how to increase tension, what parts of your story can be cut, and polishing the language—they make only minor changes. Literary magazine editors may see the potential in your writing, but they won’t take on a story that is loose or sloppy because they simply don’t have the time. So if you want to start your publishing career, you may consider working with a professional editor to smooth out all the kinks in your structure and narrative tone before sending it off. Guidance is a crucial step in a successful writing career. And a good editor will teach you much more than how to construct a good story. A good editor will comb through your story to find weak writing patterns and show you how to work around your own traps and avoid making the same mistakes in the future. A good editor will also highlight your strengths so that you can repeat that formula again and again. A developmental edit will evaluate your story line, focus, narrative tone, tension, pacing, and character development. 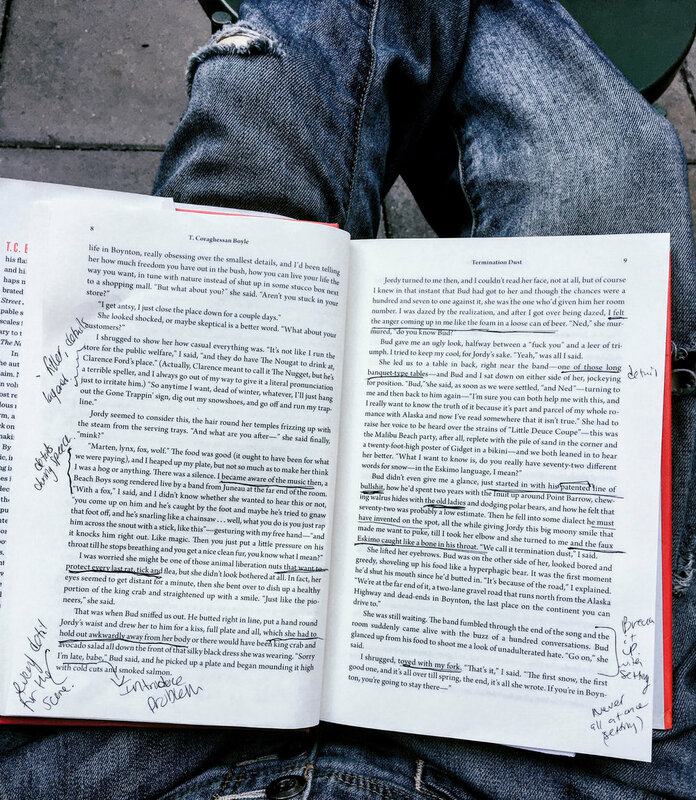 A line edit (sometimes called a copy edit) will mark every word, phrase, detail, and character attribute where your writing gets loose or veers off the road. While a developmental edit will also likely touch on your language you'll probably end up rewriting parts of your story before it’s "finished" so you may wish to get a line edit at a later date. Example after example of your writing habits paired with in-depth feedback will absolutely, no doubt about it, make all the difference in developing you into a much stronger writer. If you're interested in working with Clyde for short story editing, contact us—we'd love to hear your story!